This review is for the Underwriters Lloyds Health Insurance Company. However, there is no company by the name of Underwriters Lloyds Health Insurance and therefore, this review will focus on Lloyd’s of London Insurance and the services they provide. Searching for the perfect health insurance product? Enter your zip code below to get insurance quotes near you! Lloyd’s of London is not the traditional type of insurance company that provides various insurance products such as auto, life, homeowners, and health insurance. Instead, Lloyd’s of London acts as a group of businessmen and women who work together to provide different services within the insurance industry. 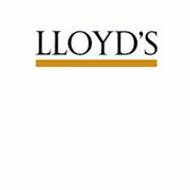 Founded more than 300 years ago, Lloyd’s started from a group of investors that put money together in Europe and insured various cargo ships. Lloyd’s of London offers various insurance products today, including health insurance as well as insurance in the case of a loss of a body part. Over the years, actors and singers have insured various parts of their bodies, usually the parts that are their livelihood. For example, people’s voices, arms, legs, smile, and nails have been insured through Lloyd’s of London. Despite the oddity of insuring body parts, it is still important coverage in that the people who insure through Lloyd’s of London need the protection. As an example, an actor or model that makes a living with their teeth and smile might want to have an insurance policy to protect that smile. This is because if something happened to their teeth, they would no longer be able to make a living. Another example of a type of insurance policy is an entertainer getting coverage against an event being canceled. Music groups that play at outdoor venues can get insurance through Lloyd’s of London to cover against the possibility of weather cancelling the concert. This would cause the revenue from the event to be diminished. The insurance policy would most likely cover the lost revenue. Other insurance policies taken out from Lloyd’s of London include horse jockeys and racecar drivers. Both professions are susceptible to accidents, and the insurance policy covers them in case something happens during the race. The difference between Lloyd’s and other insurance companies is that Lloyd’s is more diverse as to what kind of things they will insure. While Lloyd’s collects premiums just like other companies, Lloyd’s can make more money as a company because of the more unique items they insure. In addition, Lloyd’s has very limited competition. Lloyd’s also has office located throughout the world, including Europe, South America, Africa, and Asia. For additional information on Lloyd’s locations, you may call the main customer service phone number: +44 (0)20 7327 1000 or Email:[email protected]. Any claim that needs to be filed with Lloyd’s of London should be processed according to the policy instructions. In most cases, policyholders should contact their individual insurance agent to let them know what happened. Lloyd’s agents will then communicate with the underwriters and anyone else who needs to be involved in the claim. This can include authorities, other insurance companies, and anyone else involved in the incident. The Lloyd’s of London website has a very informative and detailed web page focusing on careers with the company. Lloyd’s markets its jobs to many different people, including experienced professionals, recent graduates, and individuals looking to change careers. Lloyd’s also offers a summer internship program to students who are looking for real world experience while still in college. As far as searching and applying for jobs at Lloyd’s, the online search function allows interested individuals the opportunity to search by reference, location, keyword, or job type. You are able to create an online profile and apply for different jobs depending on your experience and qualifications. In addition, you can sign up for text alerts to be notified when a position that matches your interests. Searching for health insurance? Start today by entering your zip code and getting health insurance rates today! Really Lloyd’s of London is not the traditional type of insurance company that provides various insurance products such as auto, life, homeowners, and health insurance. Instead, Lloyd’s of London acts as a group of businessmen and women who work together to provide different services within the insurance industry.